Over the past six months, a number of people have asked me about my opinion on crypto brokers with names like Bitconnect and USI-tech. This article try to sum up the answers to the questions I frequently get. It seems like the number of concerned customers with these companies have increased dramatically in 2018. This inspired me to take a closer look at these companies. The various companies are built pretty much after the same structure. However, this article is about one of the many crypto brokers, namely USI-Tech. A number of my business associates are involved in this very company. My method: First, I took a closer look at the sales material from USI-Tech, from their web site and from YouTube. Second, I browsed through a large number of internet forums to check out what the users have to say about them. Finally, I checked out trustworthy review sites. These three sources have given me some background information to assess the company. I have to admit that I’ve barely spoken to representatives from the company, and hence, I may have overlooked significant information or details. In short, USI-Tech is a company which offer anybody to lend the company money (by purchasing some Bitcoin packages), which bear a rather hefty interest for the next 140 working days. In short, you purchase one or more “Bitcoin packages” which cost EUR 50 each. The investment is returned with interest the next 140 working days. The consistency of USI-Tech’s offer starts to deteriorate already in the sales pitch: A number of the squeeze pages which describe USI-Tech, tell you how you will get a profit of 140% over the next 140 working days. However, when reading the fine print you discover that you will get your own (invested) money back (which is 100%) in addition to 40% profit. So the profit is “only” 40%, but a lot of the contestants mix it up a little and resell the idea of 1% profit per day. The profit is “only” 40% / 140 working days, which is equivalent to approximately 0,285% per day. 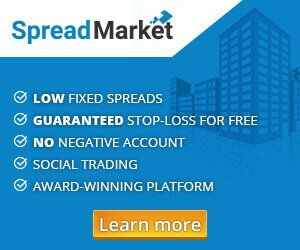 How do they achieve a profit of 40% in 140 days? This is supposedly done by some kind of algorithm, which is labelled very conservative on their homepage. The algorithm will then be able to generate fairly stable profits. I will not categorically reject the idea of an algorithm that is able to generate 40% in a period of a bit more than six months. However, I can guarantee that an algorithm like this will be far from conservative and take loses of both 20, 30 and 40%. I’m unable to find any information about draw downs in the USI-Tech documentation, and this raises a few warning flags. And apropos 40%: This isn’t even enough. They have to make much more profit that this. The company charges a fee of 3% of the “package cost” every time a customer places an order. In addition, the company is structured as a Multi-Level-Marketing organisation, where existing customers can earn money off recruiting new customers. This means a 35% overhead (of the profits) goes to the customers that recruited you. All in all, the profit should be substantial higher than 40% in 140 days to cover all the expenses in the network, as far as I can see. A large number of people have demanded proof that USI-Tech actually execute the Bitcoin trades the claim to do. So far, no evidence has been produced. The management have promised several times to document all trades, but as far as I’m concerned, this hasn’t happened yet. Another issue that sounds a bit odd, is that the company’s algorithm is able to actively trade enormous volumes of Bitcoins. The company informs that they have around half a million members. If each and every one of them just purchase 5-10 Bitcoin packages, we’re talking about 1-200 million euros, which again should be traded quickly and efficiently in and out of the Bitcoin market for a “safe and conservative” daily profit. Right now, on the current stage of this analysis, I sense something very odd about this setup. But we’re not done yet. Because it’s not only generating profits that counts. You can also make money by recruiting friends and family. USI-Tech have a network structure called 12-12-12. 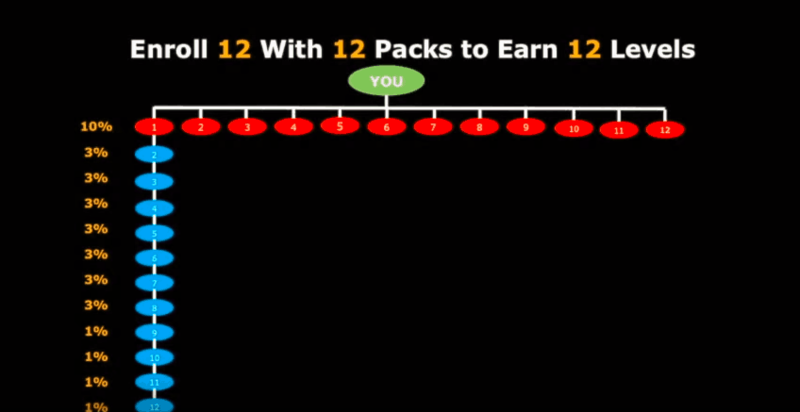 This means that you can recruit twelve customers, who again buys twelve Bitcoin packages each. Each Bitcoin package cost EUR 50, so each of these twelve people spends EUR 600. If you can pull this off, you will get a certain percentage off the profits these twelve customers generate. This structure is shown in the figure below. This figure also show the percentage you will earn for each tier. In other words: You will get a 10% commission from the profits that are generated in the first tier, directly under you. Next tiers will give you a 3% commission and finally the last tiers will give you a 1% commission. So if you have a big network and possess great powers of persuation, there is an opportunity of earning commission from your entire network. Perhaps I’m a little damaged from years and years of different offers from many different network organisations. But when a company have invented their very own legal money printing press, suddenly introduces a MLM structure to push their products, the alarm goes off. If I had developed an algorithm that almost guaranteed and conservatively could return an interest of several hundred percent annually (and I was able to document it), it would take a very little period of time before I could collect an obscene amount of money in an investment fund. So why all this multi-level network fuzz? This is neither professional or tempting. It looks like one gigant scam. 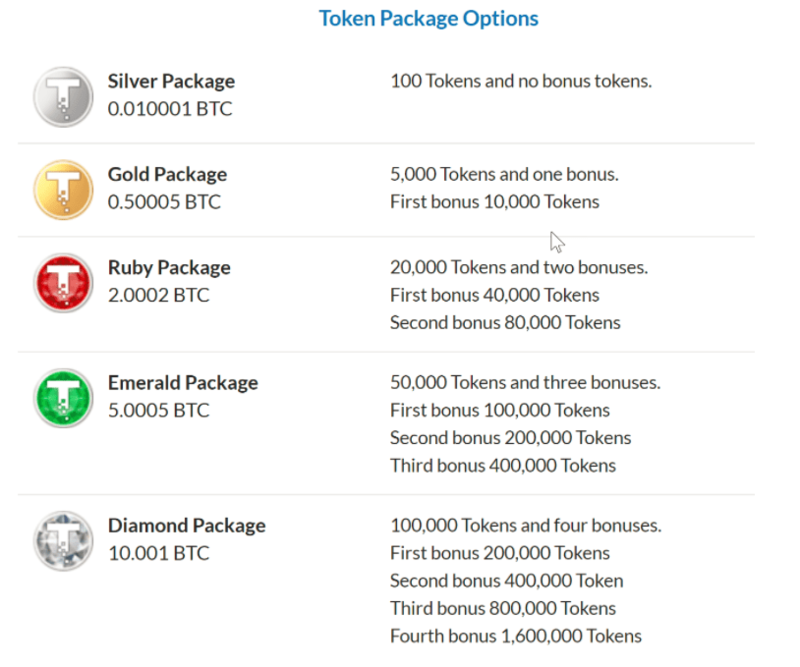 Now I have described the Bitcoin packages which in it self sounds like something of a pyramide scheme. But it doesn’t end here. USI-Tech is also creating their very own crypto coin called “Tech-Coin”. Here the prices range from 0.01 Bitcoin and up to 10 Bitcoins which right equals around 70 – 70.000 USD. It sounds strange that a highly respectable financial organization should use these tools. But let’s take a look at what you can actually get by buying these coins. The moneyflow from this Tech-Coin ICO makes it possible for USI-Tech to role out their system to the entire world and to make it possible to produce the kind of performance they promise the buyers of Bitcoin packages. When I search around on the internet I find several different versions of what the money will be spend on. But up until now I have found the following topics covered. USI-Tech is apparently in the proces of buying a lot of mining capacity for mining Bitcoins and Altcoins. This is the proces where you buy some expensive computer hardware that helps to keep track on the Bitcoin blockchain from a very complicated principle. The payment for this is Bitcoins and it has earlier been a very good business to be in. But lately the profit has decreased dramatically due to falling prices in the crypto market and an increased difficulty level in the calculation that is demanded from the system. This again means that the hardware has a shorter life span, and then there are the incredibly high electricity bills for the hardware. And this bill brings me on to the next topic that Tech-Coin apparently is supposed to be financing. So they are apparently able to reduce the mining costs by 95% by using some state of the art magnet-energy-tech. Det funny part is that no scientist I have be able to find knows anything of this new technology. Youtube has been full of these “free energy” videos for years, but as far as I can tell one one is taking them seriously. Here is a picture from the introduction of the marvelous magnet-energy-miracle. If you want to you can search Youtube for these magnet-energy-videos and judge for your self if you this it has the potential to feed thousands of computers with electricity. But USI-Tech claims to have patented this technology in a large number of countries so I guess we just have to wait and see. Maybe some day the world is powered by the USI-Tech miracle. The last investment I can find regarding the money from the Tech-Coin is a huge number of ATM-Bitcoin-machines (some articles talk about “thousands” other about “millions” of machines”). I havn’t been able to find much about these machines but as far as I can read the Bitcoin ATM’s available today are mostly used as show cases and are not that big of a succes. If I try to recap, then the USI-Tech system is build on some sort of miracle algorithm that can make a huge return on Bitcoin trading almost without risk so a 40% return is made every 140 work days. This algorithm could make the owners billions of dollars each year without the entire network marketing setup. But they have chosen to invite the public to participate. The customers are found via a Multi-Level-Marketing structure and their sales speeches sound identical to those from almost all other network marketing company I have come across over the last 20 years. On the sales meetings the customers are presented with terms like “Blockchain”, “Hashrates”, “Mining”, “ICO/coins/tokens” etc. But from the sound clips I have heard from these meeting I’m not convinced that the sales people really know much about Blockchain, trading algorithms or the financial world. Such pyramide schemes usually need a constant inflow of people (and their money). If the flow stops then there is no money to pay out then then the system stops. 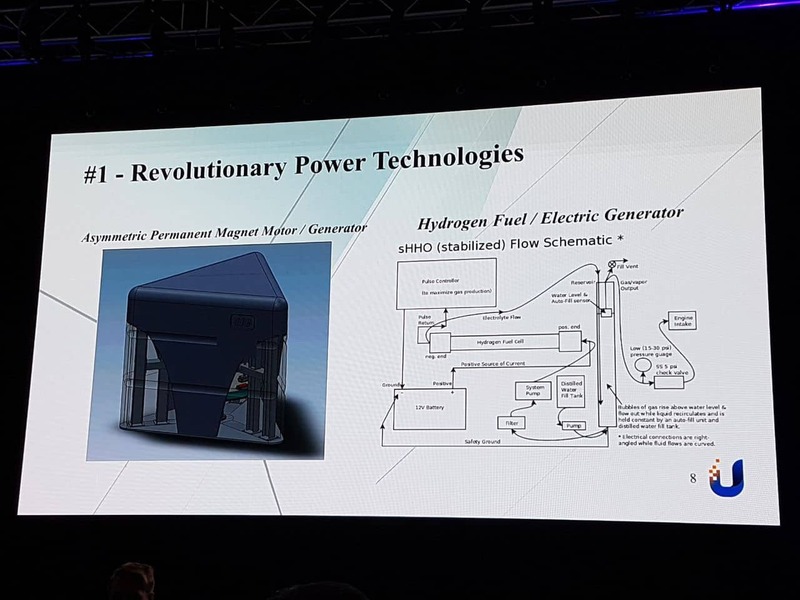 Now the “Tech-Coin” is introduces which gives the company some extra cash to invest in mining and this revolutionizing energy technology that should be able to make free energy. I’m left with a feeling that this company knows exactly what buttons to push in the potential customers. They are using peoples greed, their lack of knowledge about Bitcoins, the crypto-media-hype ect. etc. to lure people in. If I’m right in my assumption then the company will probably keep afloat a while due to the in flow of money form the Tech-Coin. But at one point the bubble bursts and the top management will have withdrawn their profit and left the rest with nothing. This burst-point will come quicker if the Bitcoin price keeps dropping since more and more will lose the motivation to stay invested in crypto currencies. It’s important to say that I may just be a skeptical and grumpy old man and that I might be completely mistaken. Should it turn out that I’m wrong I’m willing to admit it. And then all USI-Tech fans can laugh all the way to the bank while yelling “we told you so” at me. And I could be wrong. There might be important details I have missed. I don’t know everything about Bitcoins, blockchain, algorithm and the financial markets. Only time can tell if I’m wrong or not. I hope I’m wrong.